No. 37, Jalan Tiong Emas, Kawasan Perindustrian Tiong Nam, 81100 Johor Bahru, Johor, Malaysia. 43700 Mukim Beranang, Selangor, Malaysia. Apex Air Engineering (AAE) - is an Authorised Distributor in Malaysia appointed by Gardner Denver (www.gardnerdenver.asia) and Hanwha Power Systems Co., Ltd (www.hanwha.com). 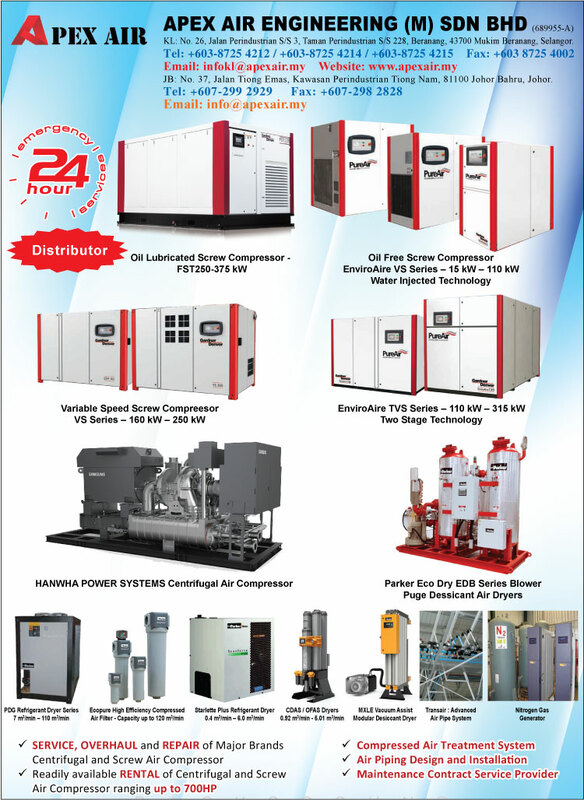 We are One Stop Compressed Air System provider since 2000 serve in both K.L and J.B. We are proud to have more than 18 years experiences and technical expertise and support knowledge for our value customers. This is how we walked together with our value customers all the way – a long term business solution. We appreciate our customer partnership, most importantly, to create and sustain a win / win relation!